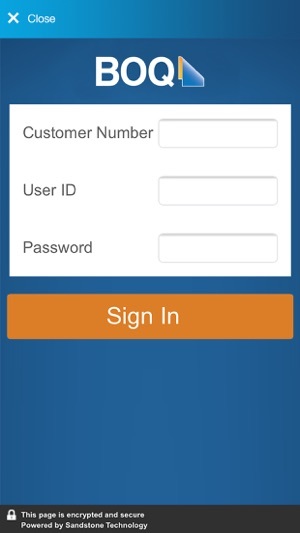 - Personalise the app for how you want to use it. - Select your desired look and feel, choose your own colour scheme and even and add your own photo as a background. - Select the top feature that will appear on your home screen, view your Local Branch contact details or the nearest ATM. 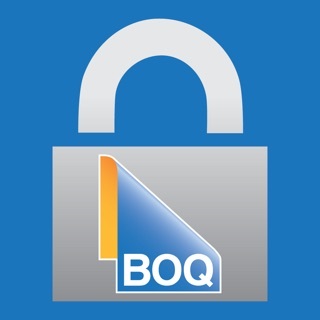 - Access BOQ Social Media pages as well as links to our product pages and the BOQ Property App. - View latest offers, interest rates and more. 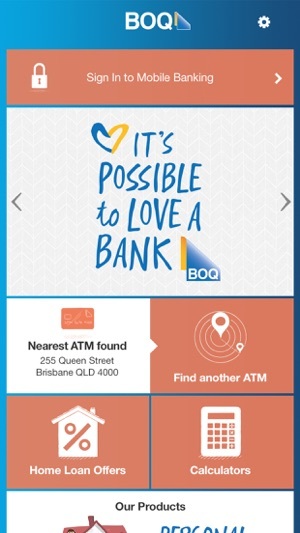 With BOQ Mobile Banking you can bank from the convenience of your mobile device. If you are already registered for Online Banking, simply Sign In using your existing Customer Access Number (CAN) and Personal Access Code (PAC) to access all your accounts, payees, and billers that you would normally see via Internet Banking. You will also be able to access your pending authorisations and payments as well as complete Funds Transfer, Pay Anyone and BPAY transactions. 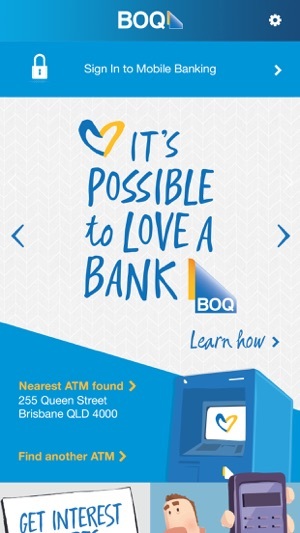 If you would like to register for Online Banking, please call our Customer Contact Centre on 1300 55 72 72. They’re open 24 hours a day, 7 days a week and would love to help. Normal data charges apply. Please refer to your mobile service provider for further details. App framework updates and future app version enforcement. This isn't an app, it's just a few links produced at very low resolution. Garbage effort.